I have days when all I want is good cup of hot tea, not iced tea ( personally I don’t like iced tea). Don’t get me wrong I love my coffee but some days only tea will satisfy. For me personally I find tea to be very soothing and it has a calming effect on me. There are many different types of teas with various health benefits, just to name a few: (1) Tea contains antioxidants (2) Tea aids with digestion and (3) tea also lowers stress hormones. You can find more information on the Health Benefits of Tea here and here. Tea bags contain 25% more tea than standard tea bags (2.5 g versus 2.0 g). Soft and porous Perflo tissue is used in our round, stringless tea bags for faster infusion and better flavor release. 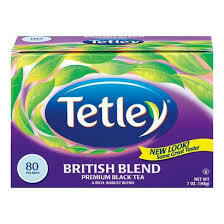 Once you taste it you will know why it is their best selling tea. They also have the Briish Blend in Decaf. Their website is very informative they have included the History of Tea as well as Tea Tips ( how to brew the perfect cup of tea) etc. 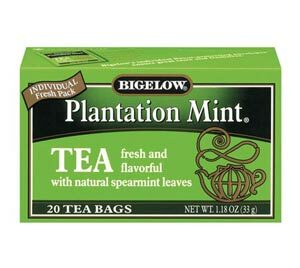 Another brand I really enjoy is Bigelow specifically the Plantation Mint. You will find Plantation Mint® a delightful flavor surprise. We use only the finest mountain-grown tea blended with natural spearmint. Oh and interesting fact they also have their own Tea Plantation.